2014 was definitely a good year for my hair. I hit my length goal (twice), gained so much thickness, and found some products & tools that my hair loves. These are things I want to make sure I keep up in 2015. 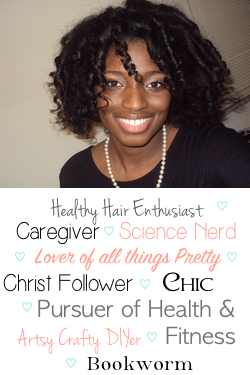 As I was looking over last year's posts and pics, I came up with the top four things I loved about my hair care and the top 10 posts you loved in 2014. 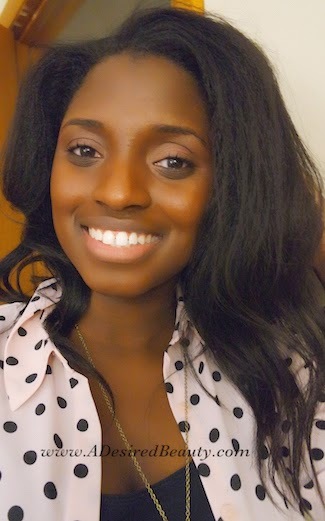 Protective Styling: I made a serious commitment to long-term protective styling last year. I never thought I would like protective styling on a long-term basis, and by long-term, I mean 4-6 weeks. But, I was wrong. Not only did I start to truly enjoy it, but it was very beneficial to my hair. I tried crochet braids for the first time and they worked so well with my hair, I ended up installing them three times! I did crochet braids with braiding hair, crochet braids with box braids, and crochet braids with senagalese twists. I also installed another set of box braids and even tried out faux locs for the first time. It spoiled me, ladies. After all that, I did not want to keep up with my hair daily. It makes life so much easier! I understand why some ladies live in protective styles now. Flexi-rods: I tried flexi-rods for the first time (on wet hair) last year. The first time I tried to flexi-rod my hair, it did not turn out like I wanted. But the first time I had a successful rod set, I was hooked. At this point, I can achieve pretty consistent results. I am proud of that, too, because I never thought I would be good at any kind of roller set. The only thing that I do not like is sleeping in them. Yea... that's horrible. Henna: This one is an oldie, but a goodie nonetheless. I just can't speak highly enough about my hair's relationship with henna. It's all love. Henna can be messy and I don't like the smell, but it's worth alllll of that and more for the results. New growth getting unruly, but not ready to relax? Henna. Detangling sessions getting out of hand? Henna. Want to strengthen my hair, but don't want to use hard protein? Yep, henna. It smooths my hair, loosens my new growth, and gives it great shine. Certified that it's something I can't go without in 2014. When I was figuring out which posts you all liked the most, I couldn't help but notice that about half of my most popular posts were about about protective styling. I'm so glad you ladies enjoy these posts since those styles have become such a significant part of my regimen. I can guarantee there will be more of those types of posts this year, as I am already planning my next protective style. You certainly had a great year playing with different protective styles, and your hair definitely shows benefits. I know one thing for sure. You have convinced me to try a henna treatment. I found a local Indian store and purchased a box of henna. I'm planning to use it the next time I plan to flat iron my hair. I'm so excited to see what I does for my hair and will definitely be checking out your henna posts on how to properly mix and apply it. Thank you, Andrea! I will be looking out for your henna results. Hope your hair loves it as much as mine does! Cheers to another wonderful year ahead! Cheers to yours, as well! Yay another henna head! Happy new year Mel all the best in the new year hun!